A derivative claim is an action brought by an individual, but to enforce a right owned by the company. Any remedy or recovery belongs to the company. An individual claim is brought to vindicate the rights of an individual owner. The recovery or remedy belongs to the individual owner. Although the business is often considered a nominal party in derivative litigation — one without a significant stake in the outcome — it may be necessary to have a separate attorney represent the corporation or limited liability company to avoid conflicts of interest with the lawyers representing individual owners. 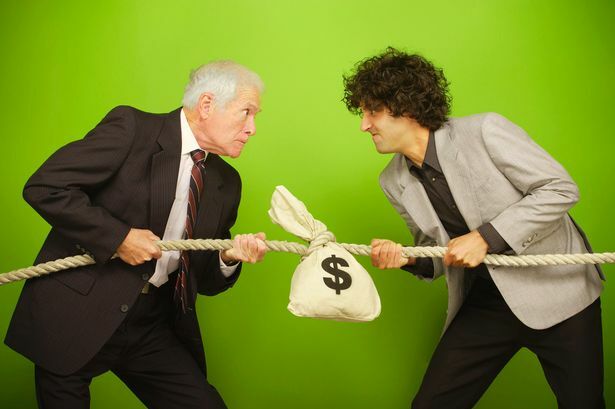 Disputes between the owners of a business often involve derivative claims; specifically that one of the parties has breached his or her duty to the business or done something to damage the business. In the closely held business the interests of the owners are more likely to be the same as the business. Nonetheless, a derivative claim raises the thorny question of whether the entity must now engage independent counsel to represent the business itself. The role of independent counsel in a derivative action is to avoid potential conflicts of interest between the controlling owners and the business entity, whether it is a corporation, a limited liability company or a limited partnership. (Claims by a partner in a general partnership are similar, but do not fall under the concept of a derivative action.) A derivative action is a claim that belongs to the business entity, but which the controlling owners refuse to pursue. A derivative action must be brought by an owner (shareholder, member or limited partner) who was an owner at the time that the cause of action arose and at the time that the claim is brought. The statute requires that the minority owner first make demand (demand that the majority pursue the claim) unless to do so would be futile. In a closely held business, in which the majority owners would have to vote to sue themselves, futility is usually presumed. Derivative actions provide for an award of attorneys fees, and we invariably include a derivative claim when representing a minority owner in which there are claims of conduct detrimental to the business entity. Typical derivative claims include conduct that depleted corporate assets, breaches of the duty of care or loyalty, basic self dealing, excessive compensation, or misappropriating a business opportunity that belongs to the business. The defendants in such a derivative action are the other owners, officers, directors, members or general partner, and the corporation is named as a nominal plaintiff. The potential for the conflict of interest is that the majority owners cannot be expected to act on behalf of the corporation in a way that is detrimental to their interest – particularly when they are also defendants. In addition, there is also the likelihood that the majority owners will contend that the minority owner is liable to the business for some wrongdoing. Independent counsel, when appointed to represent the corporation, will advise the business (the controlling and minority owners) on the issues in which the interests of the corporation are at stake: e.g., compromise of claims, indemnification of officers and directors, disclosure of sensitive records. Most derivative actions are a normal incident of an organization’s affairs, to be defended by the organization’s lawyer like any other suit. However, if the claim involved serious charges of wrongdoing by those in control of the organization, a conflict may arise between the lawyer’s duty to the organization and the lawyer’s relationship with the board. In those circumstances, Rule 1.7 governs who should represent the directors and the organization. (Emphasis added). In many cases, there will not be a sufficient uninterested number of owners to waive any potential conflict of interest, or to consider such controversial conduct as approval of permissive indemnification, much less to determine whether there is merit in the derivative claim. The duty owed to the corporation to preserve misappropriated funds, or correct an interested transaction, may well be compromised through the representation of the alleged wrongdoers. As a general rule, in the absence of a benefit to the corporation from suit, or an injurious threat to the company, a defendant in a derivative action may not use corporate funds for the payment of attorney’s fees. See Hollander v. Breeze Corporations, 26 A.2d 507 (N.J. Court of Chancery 1941). If, when the derivative action threatens the health of the corporation, corporate funds may used to pay the defense. Most would agree that a plaintiff should not have to pay for a defendant’s defense. The same concept applies here. Defense counsel, in an attempt to fight opposing counsel’s motion to disqualify for a conflict of interest, may posit some useful arguments. First, defendant may attempt to prove that the interests of the corporate officer(s) and the corporation are aligned or identical, thereby nullifying a conflict of interest argument. Often in closely held corporations, the lines separating the corporate entity from the corporate officers are blurred, so an injury to one may be viewed as an injury to all. To be successful, the defendant must be sure that the alleged misconduct does not rise to the level of serious wrongdoing (See Rule 1.13). A second response to a motion to disqualify is to convert the action from derivative to direct, thereby altering the position of the parties which can potentially ameliorate conflicts of interest. A court has discretion to find a conversion appropriate, and in doing so will circumvent many of the restrictions and defenses applicable to only derivative actions. Generally courts convert derivative to direct actions in order to permit a plaintiff to pursue a claim that would be barred by the technical requirements of the derivative statute; however, we have seen it argued successfully that the court should convert the derivative action to recognize the reality that the business has no interests distinct from its owners. New Jersey does not unilaterally treat all closely held derivative actions as direct as some jurisdictions do. See Brown v. Brown, 323 N.J. Super. 30 (App. Div. 1999). A court reserves the discretion to deem an action direct even if brought derivatively, in recognition of the realities of the overall circumstances and difficulties differentiating the injury to the corporation, as opposed to the injury to the officer(s). (The concept of a corporate injury that is distinct from any injury to the shareholders approaches the fictional in the case of a firm with only a handful of shareholders)(Comment (e) to § 7.01. American Law Institute’s Principals of Corporate Governance: Analysis and Recommendations (1992)). A potential problem to this argument is that despite a conversion to a direct action, conflicts of interest may still exist which would require independent representation if officers in a closely held corporation have differing interests with respect to the particular suit.